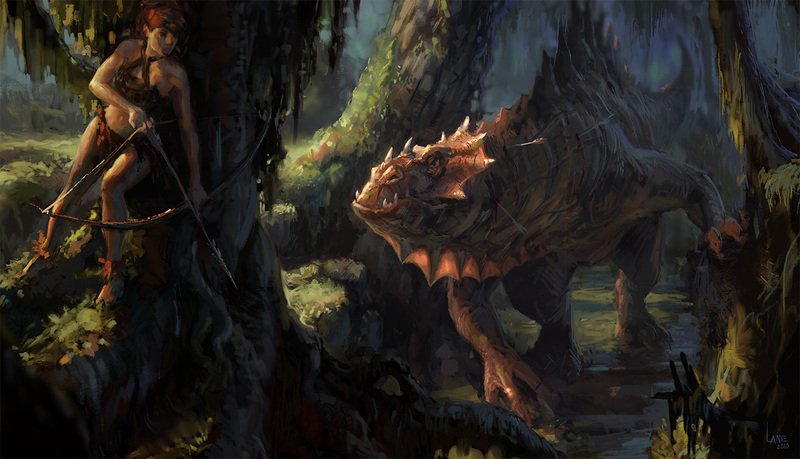 This illustration was created for the Gnomon Workshop contest "Beauty and the Beast." 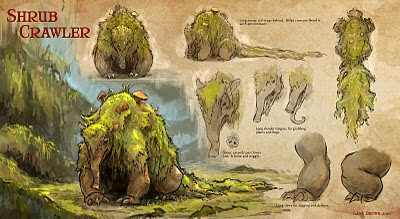 This is a concept design for a ground dwelling "shrub crawler," a creature that slowly traverses the forest floor, camouflaged by the moss and plant growth on it's back and tail. These creatures are practically undetectable when huddle amongst the crevices of shrubs and large roots. 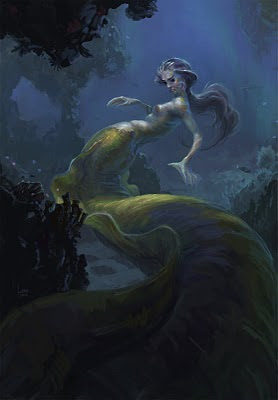 I wanted to take a slightly different approach to the classic mermaid.